When you hear that a 150-year-old insurance company is going to open up a new office, you probably wouldn’t expect it to be inspired by Silicon Valley startups, but Alice Thomas, chief digital technology officer at Sun Life, says that’s exactly what we can expect to see in September when the Toronto-based firm opens up its new space at One York Street. Just one part of the company’s new headquarters location, the new digital lab joins three other locations – India, Waterloo, and another Toronto lab – in serving as an innovation space where Sun Life can bring together IT teams and business leaders to work on customer-facing projects using an agile methodology. 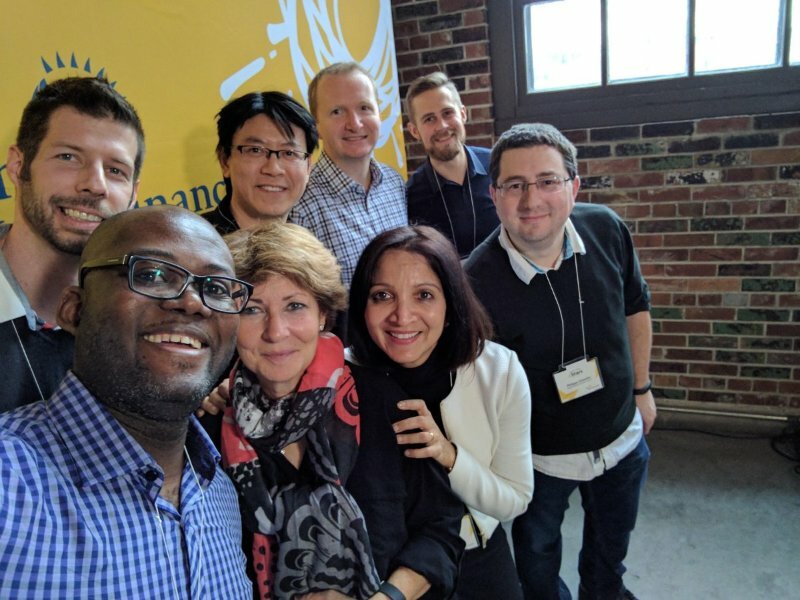 It’s one aspect of the digital transformation taking place at Sun Life that’s seen the insurance firm serve up new mobile tools to its customers, launch new digital hubs organized around healthcare providers, and new alliances with Toronto’s startup community. Alice Thomas, in the white sweater, with other members of the Sun Life team at a lab space. Over the past eight years the labs and their agile approach have helped Sun Life move the yardsticks in terms of its digital transformation agenda. In November 2016 it was rated as the scorer in Forrester Research’s Canadian Life Insurance Digital Sales Functionality Benchmark. Sun Life’s top score of 75 out of 100 compared to an average score of just 47. Forrester’s research was based on how easy it was to discover information, explore the SunLife.ca site for answers, and buy a coverage policy. That high benchmark result reflects what Thomas says digital transformation is all about for her – making it easier to interact with the company. “It’s adapting to how clients want to engage with us,” she says. For a big company like Sun Life, there are millions of transactions that it could potentially digitize to provide to its customers in an automated self-serve form online. From being able to submit an insurance claim online to providing a ‘Netflix style’ recommendations engine via its Digital Benefits Assistant app, or providing healthy lifestyle advice online, Sun Life is looking to serve unmet needs. The infrastructure behind the laser-focused personalization is a SAS Real Time Decision Manager deployment on top of a Hadoop-powered database. “The goal is to send you useful, relevant information at the right time,” Thomas says. Take for example Sun Life’s Digital Benefits Assistant, an online tool launched December 2015 to help members learn about their benefits coverage in a contextual way. An employee not taking advantage of an employer top-up option on their plan could be alerted to that, or a plan member interested in certain events could receive information on upcoming events near them. Sun Life’s mobile app has been available since 2011, allowing digital claim submission among other features. That service is on top of the mobile app available for Sun Life members since 2011 that allows them to submit a claim, track their benefits, and track their savings or make lump sum payments. The photo ID capability that first allowed for digital claims submission also came out of Sun Life’s innovation labs, Thomas says, as did the integration with Apple iPhone’s Touch ID biometrics authentication. The app was built with a mobile application platform provided by Kony Solutions Inc. The most recent innovation to be borne out of the labs is Sun Life’s National Healthcare Provider Ratings Network. 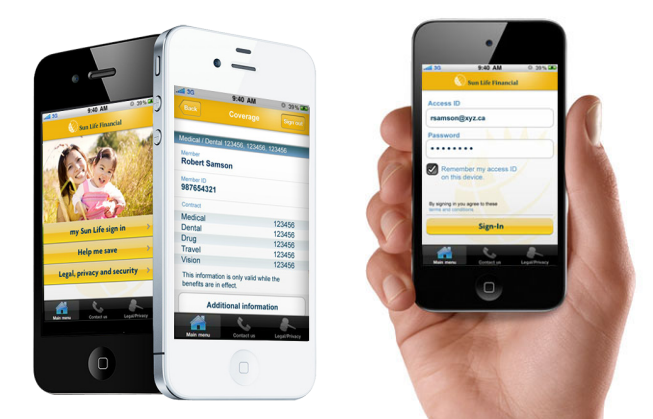 Launched in December, it allows for clients to search for healthcare providers including chiropractors, massage therapists, acupuncturists, naturopaths, psychologists and more through the Sun Life mobile app. Plan members submitting a claim are asked to rate the service one a five-star scale, so over time a quality score for different providers is collected. To engage Toronto’s startup community, Sun Life joined other corporate partners at the MaRS Discovery District last summer in the FinTech and health cluster. It intends to use that partnership to continue to advance its own digital innovation. Thomas herself is also a judge for the upcoming Developer 30 under 30 awards organized by Plastic Mobile. The inaugural awards program seeks to recognize millennial developers based on how impactful their software has been on their company or industry and what open source contributions they’ve made. ITWC is a media sponsor. While the new One York office is in part Silicon Valley-inspired, Thomas says that visits to local startup offices in Toronto also fed into the new space. She hints at what we’ll see when it opens in September. As part of its LEED certification to meet sustainability standards, the new building will use deep water cooling, drawing cold water directly from the depths of Lake Ontario to cool the interior, saving on electricity needed for traditional air conditioning. That’s just about as literal as you can get to laying down roots as a corporation.